A feeling of angst is in the air in the credit markets on Wall Street. 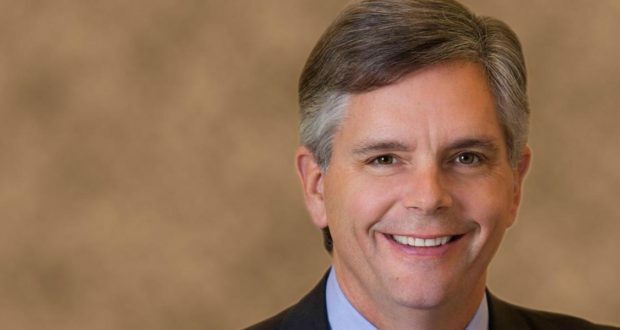 The venerable blue chip General Electric Co. will sell assets with “urgency” to reduce its high debt, Chief Executive Officer Larry Culp (just appointed 1 October) said on Monday, as GE shares tumbled as much as 10 percent and the cost of insuring its debt hit a six-year high. Some GE bonds are now trading far below par, and its five-year credit default swap rose to a bid price of 176.5 basis points. GE is one of many heading down the path of financial distress. So how did this all come about? For the most part, a decade of weak sales growth and record low interest rates were laying the groundwork. In order to sustain growth, companies took advantage of the low rate environment and loaded up on debt through an acquisition binge to buy up competitors. Roughly half of the $5 trillion market for investment grade bonds now resides in the lowest tier of ratings. Many investors fear that as global economic growth weakens, these multinational companies will be pinched. The promises being made by corporate CEO’s in this business is a rapid cost-cutting process, along with major asset sales, in an attempt to shore up the balance sheet. Analysts are expressing the tumultuousness of the current market. 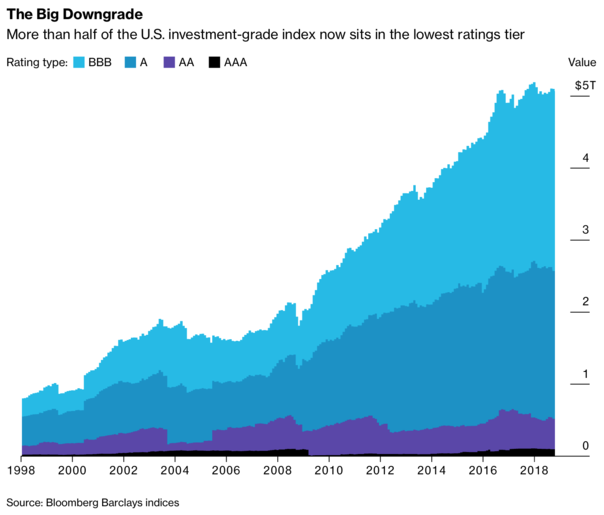 “GE is a harbinger for what’s going to happen when large capital structures get downgraded,” said Josh Lohmeier, head of U.S. investment-grade credit at Aviva Investors, which manages more than $480 billion. “It’s going to be messy, and it’s going to be painful.” Guggenheim’s Scott Minerd said Tuesday that GE’s selloff is just the start of a “slide and collapse” in investment-grade credit. Here is a short list of some of the targets of the credit rating agencies. Anheuser-Busch InBev: Moody’s Investors Service said last month that it may downgrade the world’s biggest brewer, citing the company’s large debt load. In late October, the company said it was cutting its dividend payout in half. Look for this trend among other multinationals. The Achilles heel for AB InBev was perhaps its acquisition of competitor SABMiller Plc. Ford Motor: Ford was the only Detroit automaker to avoid filing for bankruptcy during the financial crisis. They are also concerned with slowing sales and have enlisted actor Bryan Cranston as the pitchman for commercials to revive the slumping car company. Campbell Soup: Acquisition debt is a similar theme with Campbell Soup, when it more than doubled its debt load to nearly $10 billion with its purchase of Snyder’s-Lance Inc. Activist investor Dan Loeb is pushing the company to overhaul its strategy, and is trying to gain seats on Campbell’s board of directors. Risk premiums on the company’s 4.8 percent bonds due 2048 have jumped to 2.53 percentage points, from 2.15 percentage points in September. A bond risk premium is its rate of return above the risk-free rate. Keurig Dr. Pepper: The merger mania woes continue as a result of Dr. Pepper Snapple Group Inc. combining with Keurig Green Mountain Inc. in July, leaving the merged company left with around $17 billion of borrowings. Ouch. PG&E Corp: Potential liabilities resulting from the California wildfires are staggering for the utility holding company. PG&E has already drained its line of credit and looks to be in dire straits. These bell weather corporations are committed to deleveraging their balance sheets by cutting debt with a self-described sense of urgency. Only time will tell if they can continue to keep their investment grade rating, but time is moving very quickly. High fructose flavored sodas are Very bad for you. I limit the amount and try to drink only (real, minimally processed) sugar flavored ginger ale, if I drink any soda. Water or tea (flavored with real sugar) is better. Dessert for me is chocolate (with no high fructose sweetener, real sugar) flavored milk. What is Happening at Davos?